AVI is one of the most popular and well-known video format among video lovers. This format is supported by almost all video players. Many Windows users use Windows Media Player on their computer, but it only supports few video formats for playback. So if you want to play AVI on your Windows Media Player, you’ll need to convert AVI to WMV formats. If you want to know how to convert AVI to WMV, this article is just right for you. KeepVid Online Video Converter is a very simple and easy-to-use online video converter website where you can convert AVI to WMV with ease. This online video converter fully supports more than 50 video and aufio formats. With the help of KeepVid Online Video Converter, you’re able to convert videos without installing any software on your computer. But please note that you’ll need Internet connection to use this online converter. 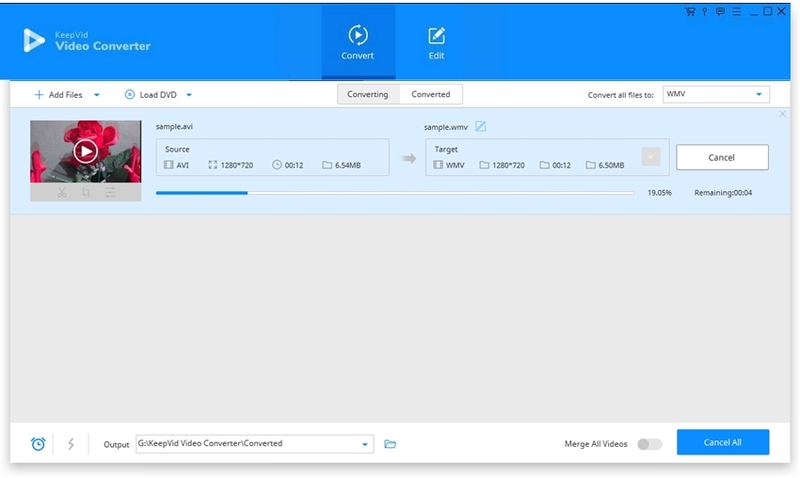 After adding files to the website, you can convert video in short time..
KeepVid Video Converter is a very simple and easy-to-use online video converter website where you can convert videos with. This online video converter fully supports more than 50 video and aufio formats. 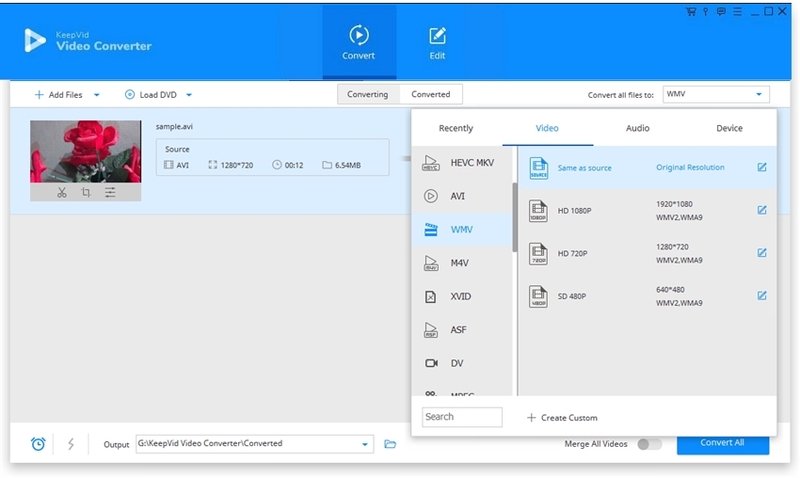 With the help of KeepVid Online Video Converter, you’re able to convert videos without installing any software on your computer. But please note that you’ll need Internet connection to use this online converter. After adding files to the website, you can convert video in short time. What if you want to convert WMV to AVI files? In fact, KeepVid Video Converter can help you to finish the task in short time. 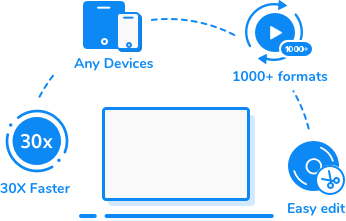 KeepVid Video Converter allows you to convert videos to more than 1000 video and audio formats. This video converter helps you to download videos from more than 10,000 video sharing sites. This video converter offers you high-speed conversion feature which allows you to convert videos with 30x faster speed. Step 1. Start KeepVid Video Converter and add AVI files into the program window. Step 2. Select WMV as an output, and click the Convert button to start converting AVI to WMV. Step 3. When the conversion finishes, you can get the converted files in the Converted tab. Download and install KeepVid Video Converter program on your computer, then start it. Now click the Add File or Add Folder button to add the AVI file from your computer. You are also allowed to drag and drop the AVI file into the program window directly. After the program loads the video, it’ll display the detailed information of the video. Now you can click the inverted triangle at the right side of the Target area, and select WMV as the output format. Or you can click the inverted triangle at the right side of the Convert all files to button, and select WMV as the output format. After that, click the Convert or Convert All button to start converting AVI to WMV. The converter will display the process of the conversion. When the conversion finishes, you’ll get the converted video in the converted tab. You can also right-click the converted file and choose Open File Location to find the converted video in your computer. WMV video format is also known as Windows Media Video format. This format was introduced in the 1999 and developed by the Microsoft Corporation. WMV format is widely used to play videos in Windows operating system.  Windows Media Video format is a mandatory video format to play videos in the online stores which are certified by the PlayForSure. This format videos can be played in Windows Media Player, VLC media player, K-Multimedia player, Media Player Classic, M-Player and Real Player.